The screen conmprises of three tabs: The first tab shows the cloud service(s) that we are connected to. If you like to connect (disconnect) to (from) a service, simple click on that service. In the second tab we transfer data, and in the third tab we see some informations about the application. In the second tab we select the files that we would like to transfer between our services. This process consists of three simple steps: In the first step we select the service that we wish to transfer our files from (please, note that you will see only the services that you are connected to). In the second step we select the files that we wish to transfer. 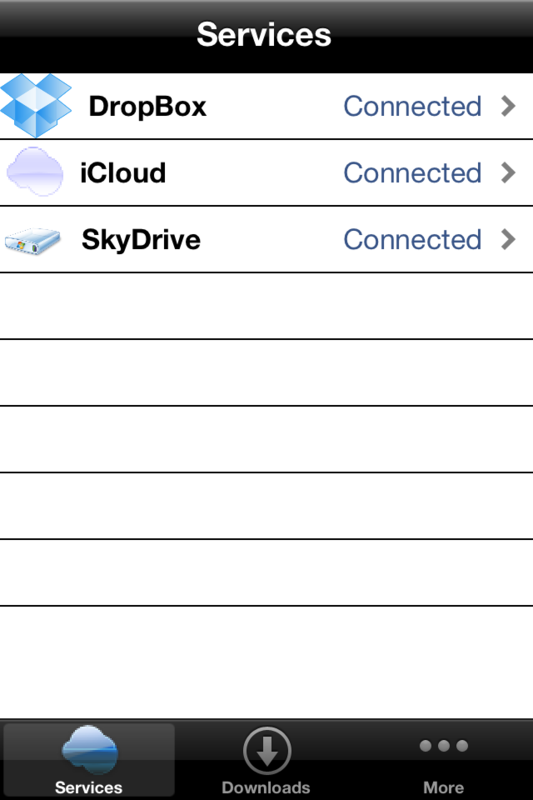 The spinning wheel will disappear when the application has downloaded the list of available files. 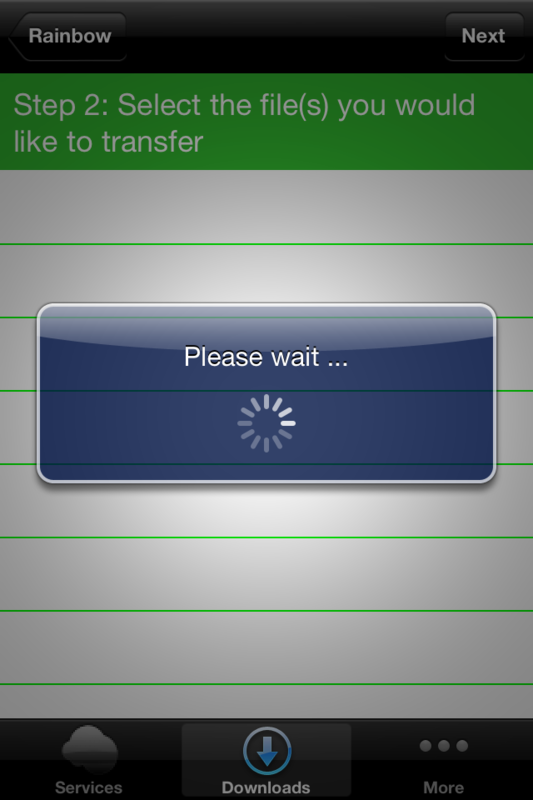 In the third step we select the service that we wish to transfer the selected files to. Note, that we can transfer files from one folder to another folder of the same service.